College of Education students are helping their fellow students with questions about navigating their programs. Welcome to the College of Education Student Affairs Office! We’re here to help you get the most out of your Spartan experience. Ideas for Exploring, Discovering and Connecting at MSU! Do you need to schedule an appointment with an advisor? The College of Education Student Affairs Office is the place to go for answers, information and guidance about these things and more! Students with fewer than 56 credits may change their major to Education; however, students with 40-55 credits must meet with an Education advisor first. Students must apply and be admitted to the teacher preparation program to remain in the Education major after 56 credits. Students with more than 28 credits are eligible to apply for admission. Students who do not apply or cannot be admitted to the teacher preparation program when they reach 56 credits must change out of the Education major. Students in other majors who apply and are admitted to the teacher preparation program will have their majors changed to Education as part of the admission process. If you are seeking a major change to something other than Elementary Education, please visit the website of that college to learn more about the process. If you wish to change your major to Exploratory Preference, or if you wish to discuss major options, please visit a Neighborhood Engagement Center for guidance. Students with fewer than 40 credits and a cumulative GPA of at least 2.0 may change their major to Kinesiology. Students with 40-55 credits and/or a cumulative GPA below 2.0 must meet with a Kinesiology advisor before changing into the major. Students with more than 55 credits must meet admission requirements to remain in the Kinesiology major or change into the major. Students who are not admissible when they reach 56 credits must change out of the Kinesiology major. Students with more than 56 credits who have met admission requirements must complete a major change request. If you are seeking a major change to something other than Kinesiology, please visit the website of that college to learn more about the process. If you wish to change your major to Exploratory Preference, or if you wish to discuss major options, please visit a Neighborhood Engagement Center for guidance. Students with fewer than 56 credits may change their major to Education; however, students with 40-55 credits must meet with a Special Education advisor first. Students must apply and be admitted to the teacher preparation program to remain in the Special Education major after 56 credits. Students with more than 28 credits are eligible to apply for admission. Students who do not apply or cannot be admitted to the teacher preparation program when they reach 56 credits must change out of the Special Education major. Students in other majors who apply and are admitted to the teacher preparation program will have their majors changed to Special Education as part of the admission process. If you are seeking a major change to something other than Special Education, please visit the website of that college to learn more about the process. If you wish to change your major to Exploratory Preference, or if you wish to discuss major options, please visit a Neighborhood Engagement Center for guidance. Students pursuing teacher certification at the secondary (high school) level earn degrees in the departments/colleges of their teaching major (e.g., biology, French, music). To become certified, students must apply and be accepted for admission to the teacher preparation program. Students with more than 28 credits are eligible to apply. Looking for the Undergrad Associate/Assistant Dean in Your College? If you need help with administrative issues related to university policies and procedures (for example, a Grief Absence request) and you’ve been referred to your Associate/Assistant Dean or “Academic Dean,” please contact Assistant Dean Susan Dalebout. If you’ve been referred to the Associate/Assistant Dean in your college because you wish to request a medical withdrawal, please contact Assistant Dean Susan Dalebout. 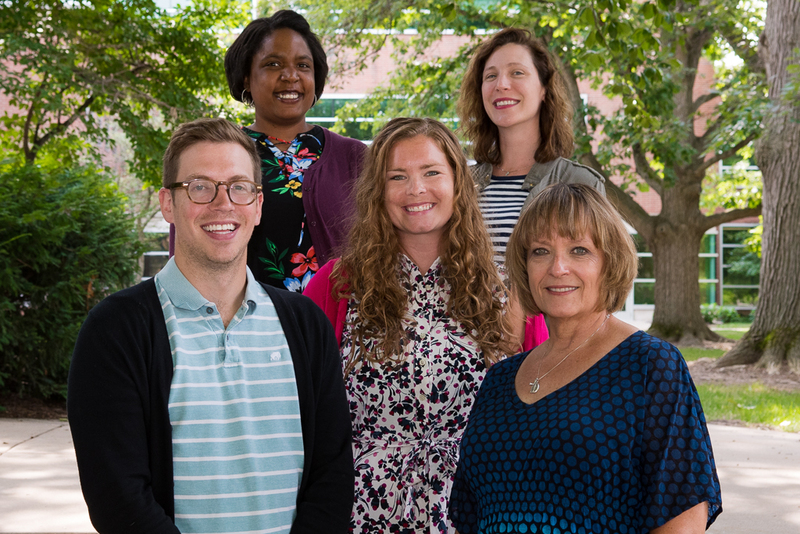 College of Education advisors open new appointments every Friday. Their schedules fill quickly, especially after spring break when students are preparing for annual enrollment. Be sure to schedule well in advance of your enrollment date. In addition to scheduled appointments, advisors see students during scheduled walk-in advising hours. Check the website for current walk-in hours. Before you come, it’s always a good idea to call our front desk (517 353 9680) to confirm that there have been no unexpected changes (due to illness, for example). Appointments for non-MSU students (including high school students, prospective transfer students and prospective post-bachelor’s degree students) can be scheduled by calling 517 353 9680.
Who are the College of Education advisors? What is peer academic advising? Peer advising is about students helping students. Peer Advisors receive extensive training and are able to assist with major/minor selection, admission requirements, resource referrals, and general advising questions. All Peer Advisors are trained to advise students in kinesiology and athletic training, as well as elementary, secondary, and special education (so you can schedule with any of them). Peer advisors work with students by appointment or during peer advising walk-in hours. Peer advisors are trained to work with students in all College of Education majors (so you can meet with any of them). You should meet with an advisor every semester. You’ll get the most out of the meeting if you come prepared to actively participate. Review degree requirements, create a list of questions, and use a sample four-year plan (see below) for your major to create a preliminary schedule before your visit. Although advisors are eager to help, students are ultimately responsible for understanding and fulfilling degree requirements. Keep a folder with information from your advising appointment so you can refer to it later; take the folder to your next advising appointment. MSU Degree Navigator; Degree Navigator compares your academic record with requirements for your degree major and shows which requirements you have—and have not—completed. The Honors College Advisors for students in Kinesiology and Athletic Training are Amy Tratt, Becky Olsen, Jennifer Watson and Justin Wolfe. 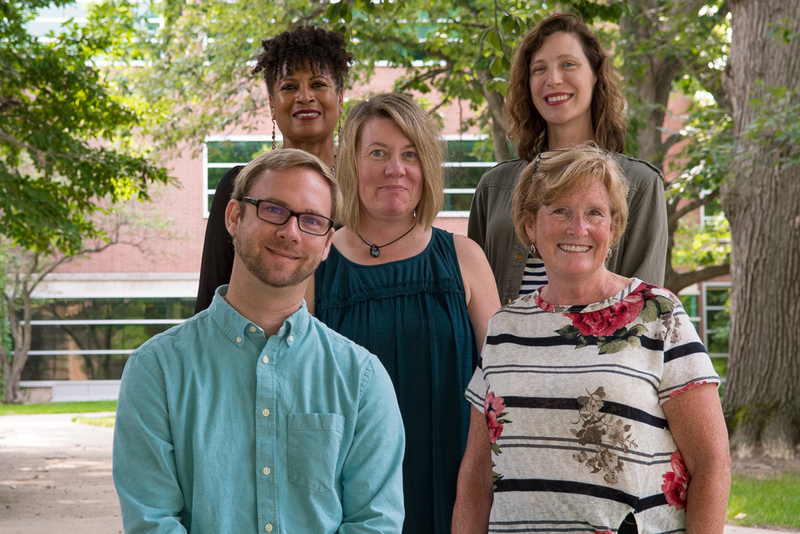 The Honors College Advisors for students in Education and Special Education are Michael Haslett, Janet Chegwidden, Latisha Hurd and Abby Johnson. Advisors for athletes in Kinesiology are Amy Tratt, Becky Olsen and Justin Wolfe. Advisors for athletes in Education and Special Education are Michael Haslett and Latisha Hurd. All Education/Special Education advisors are available to advise secondary education students and prospective secondary education students about the teacher preparation program (including admission requirements, the application process, course requirements, the internship year, etc.). Secondary education students (and prospective secondary education students) should consult an advisor in their major about degree requirements. Students interested in transferring to MSU from another institution should contact the MSU Office of Admissions for general admission information as well as more specific information about transferring to MSU. The Office of Admissions reviews all transfer student applications and processes admission to all MSU majors. Want to learn more? In addition, prospective transfer students are encouraged to use Transfer MSU to find MSU equivalencies for courses completed at other institutions. College of Education advisors are happy to meet with prospective transfer students. Please call 517 353 9680 to schedule an appointment with an advisor in your intended major. High school students interested in admission to MSU should contact the MSU Office of Admissions for information and a link to the online application. The Office of Admissions reviews all undergraduate student applications and processes admission to majors on a rolling basis. Early application is recommended. There are opportunities throughout the year to tour campus, attend special admission events and/or meet with college advisors to discuss the majors you are considering. Visit the Office of Admissions for campus visit options and registration information. College of Education academic advisors offer informational meetings for high school students and their families on designated days each semester. Select the College of Education to see specific days and times. The College of Education offers a route to initial teacher certification for individuals who have already earned a bachelor’s degree. Depending on your background and what you wish to teach, the program takes 2-3 years, including the teaching internship year. Learn more about the Post-Bachelor’s certification program and admission requirements then call 517 353 9680 to schedule an appointment with an advisor. Teachers interested in adding new endorsements to their teaching certificates should email the Certification Office for information. The College of Education offers the services of a professional career consultant and trained career peer advisors. Learn more at the college’s career services site. Employers and graduate admission committees are looking for students/graduates who’ve developed skills that transcend majors; skills like problem-solving, self-management, critical thinking, verbal and written communication, teambuilding, time-management, and dependability. Activities outside the classroom offer opportunities to develop those “transferrable” skills. 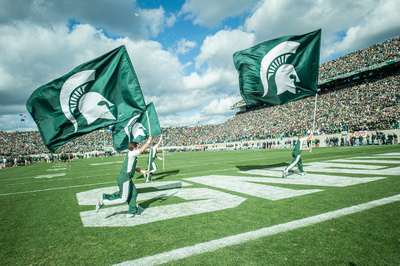 Joining a student organization is a great way to meet new people, learn more about a major or career, develop leadership skills, improve your resume, and help others in the Spartan tradition. With more than 700 registered student organizations at MSU, there’s something for everyone. Many students enjoy organizations related to their major; check out student organizations in the College of Education. It’s possible to complete integrative studies requirements, degree major requirements and elective courses all over the globe! There are also opportunities for international research and service projects. MSU administers over 275 programs worldwide each year, with some Study Away options available in the United States. Want to learn more? Learn about Education Abroad programs especially tailored for your major. Learn about College of Education Scholarships to support Education Abroad. Visit the MSU Office for Education Abroad. Learn about the Education Abroad Advising Center and Education Abroad 101. Learn about costs and financing for Education Abroad programs. Learn about opportunities to get involved in research at the MSU and beyond! Check out the University Undergraduate Research and Arts Form (UURAF) in which nearly a thousand undergrad researchers from across campus present their work. Learn about student research opportunities within the College of Education. KIN and AT students may be particularly interested in student research opportunities within the Department of Kinesiology. Gain exposure to a major or a career, develop job-related skills and improve your resume through hands-on experience. Learn about internship opportunities on Handshake, talk with your advisor, or visit the career consultant and career peer advisors in the College of Education. Do something good for others while also learning more about the world, developing transferrable skills and improving your resume. Use the MSU Center for Service-Learning and Civic Engagement resources or reach out to specific organizations to seek volunteer opportunities. What KIN I do with my career? The MSU Office of Financial Aid provides information about scholarships. In addition, there are undergraduate scholarship opportunities in the College of Education. Pre-professional advisors do not replace advisors in your major. These advisors serve as an additional resource for students seeking admission to post-graduate programs in the health field. The pre-professional advising website is also an excellent source of information about career options, graduate program selection, prerequisite admission requirements, the application process, admission test preparation, suggested elective courses, related student organizations, and co-curricular activities. Pre-professional advisors are housed in the College of Natural Science but work with students in all majors. Find complete information about MSU’s fall and spring commencements. Find information about teacher certification, email the Certification Specialist or call 517 353 9680. Express Advising is available to all students on WEDNESDAYS from 8:30-11:30 AM and 1:30pm-4:30 PM. If you need to arrange a longer meeting, schedule an appointment during our regular advising hours. Education and Kinesiology students can take advantage of expanded opportunities for drop-in advising in preparation for spring enrollment on the following days and times. Wednesday Express Advising times will resume on April 24th. Interested in MSU? Schedule a campus visit today!